← The Trolls Didn’t Get Me! The other day I started to think that all of my wandering around probably seems pretty random and possibly boring to some of you. So on Tuesday, after I finished checking my email etc I decided to go out for a walk to continue my search for a grocery store so that I could avoid eating only apricots and almonds for dinner and I did a little photo-journaling to show you all what a little wandering can achieve. 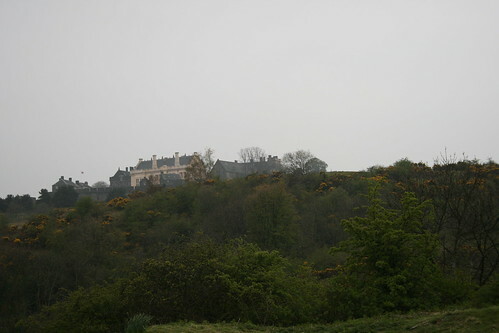 I left my hostel and wandered up towards Stirling Castle, as I had been pretty much everywhere in the city on the other side of the hostel. 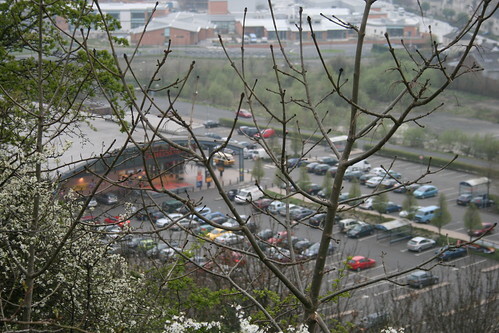 I wandered up to the castle to see what it looked like and also see if I could see any grocery stores from the top of the hill. No luck, but I did find a cool cemetry, so I started walking towards it. 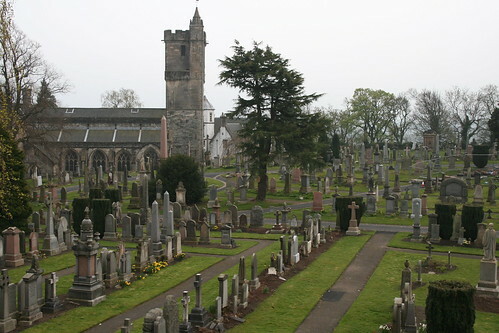 As I was wandering towards the cemetry, so I decided to check it out. Then I was faced with a difficult challenge because I found a cool looking alley way. I had to decide whether I should continue towards the cemetery or follow the cool alleyway. In the end I figured that the alley proabably lead towards the old city, where I had already been and knew that there were no grocery stores. So I continued straight. Then I stumbled upon a map, where I saw that I could see a beheading stone. Obviously not finding the beheading stone was not an option so I decided that after the cemetry I would go find that. Besides, I figured that if I didn’t find a grocery store then it was the universe’s way of telling me to eat at the delicious smelling Thai restaurant down the street. When I was in the cemetry I wandered for a bit before I found a nataure path that I decided to follow. 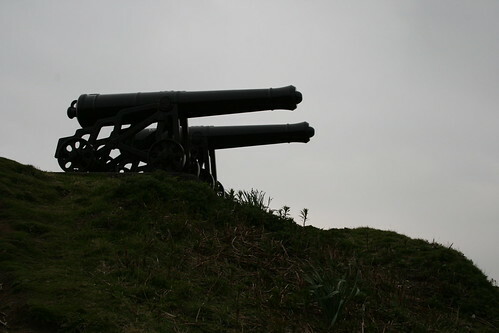 As I was wandering on this path I saw two cannons in the distance on a hill so I thought “hark! random wilderness canons! I must find out what they are!” and I veered in the direction of the canons. Along the pathways that I imagined lead towards the canons I found bunny country. 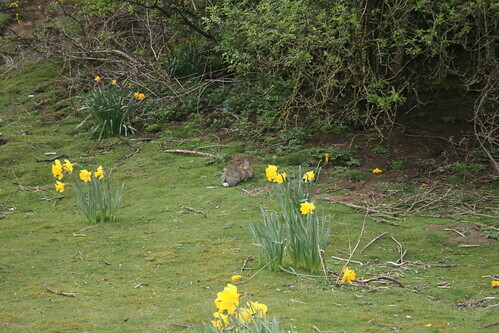 There were so many bunnies that I would have sworn I had stumbled into the UVic campus. Sadly, I saw no baby bunnies. Anyhow, I wandered around for a little while before stumbling upon the cannons again, this time up close. Low and behold, beside the cannons was some sort of iron dome. Upon closer inspection I found that it was the …. 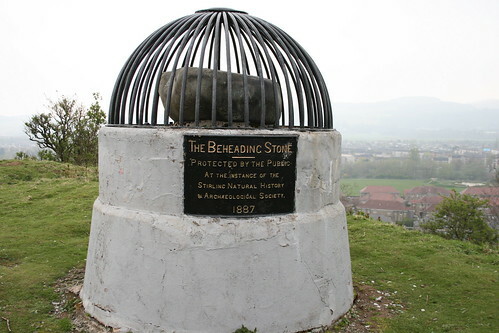 Beheading Stone! Hurray! (Insert killing two birds with one stone pun here.) I checked out the beheading stone for about 15 seconds (there wasn’t much to see) and then I heard an ice cream truck. Now, I had been hearing this ice cream truck all day without ever being able to find it. You can only imagine my frustration because I really wanted to see if they have the lemon-happy-face Popsicles that Kate told me about. As I happened to be perched on a hilltop I looked around the land below me to find the ice cream truck. It must be painted in camouflage because it is impossible to find. Anyhow, I did find a grocery store! Hurray! So I wandered back down the hill and bought my groceries. And that was the end of my wanderings. So now you can understand why I am unlikely to use maps. 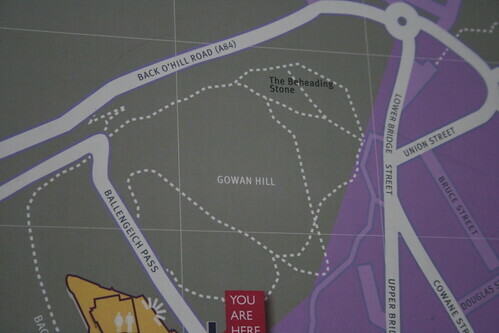 If I’d consulted a map, I never would have found the cool cemetery, the bunny country, or the beheading stone!